Bradley was pretty much smothered by music every Friday night of his childhood. Picture Mr. Say playing the bass guitar, while Bradley and his 5 siblings run a riot singing along and playing the drums (multiple biscuit tins) guitars (badminton rackets) and a tambourine (a Frisbee), forming a re-hashed ‘Jackson 5’ ‘The Say 6 Band’ of no fame what so ever. Bradley has come along way since then, as he subsequently discovered the art of pen to paper and voice to music and funded his very first all Pop E.P “Comic Book Villain” in 2012. In recent years he has been back and fourth to Paris and the French Riviera getting hooked on ‘L’air Français’ and the French ‘Je ne sais quoi’, which has been captured, bottled and unleashed into his brand new album. 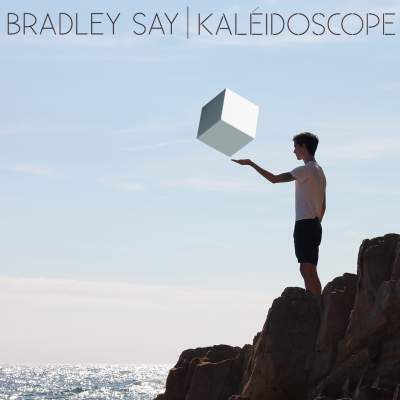 With influences of brass and bass, hooks and hinges, synths and sounds, Bradley has created his new album from scratch all the while discovering a new art of production. The new album titled ‘Kaléidoscope’ is the binding and stitching of influences, which form an album that is Kaleidoscopic and ever changing. The first to come from the album is “Robbery”. The brass hook strapped to a bassline equates to the sound track of a real-life break-in experience. Forthcoming from the album is “Visionnaire”, a French-leading line and British-bite go together to form a Pop-Synth slice, that tingles the taste buds of what is yet to come from the entire album.